Not heading to Adelaide Oval this Friday night for the Preliminary Final? 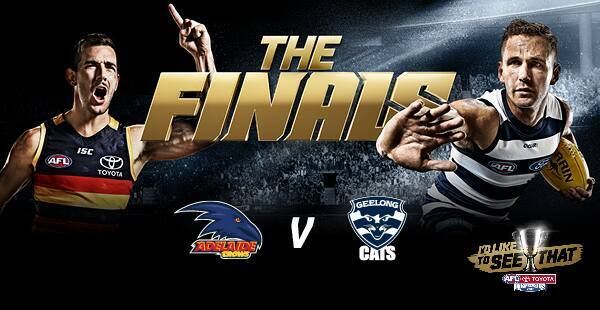 Enjoy Crows v Cats in the Geelong Social Club! Our premium venue will open the doors to Members and the general public from 5.00pm on Friday 22 September. Our restaurant area is now fully book, however there is still plenty of availability at the bar! Bookings not available. Dining options available until the end of half time break. Click to view the Bar Menu. There's no better way to watch this clash! Catch the game on two big screens and with the stunning view of Simonds Stadium under lights. Enter via the Cats Shop in the Charles Brownlow Stand.